Every little girl (or big girl!) 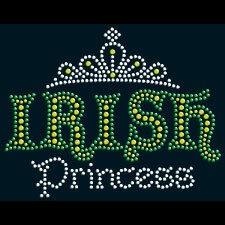 will want one of these Irish Princess with Tiara shirts or sweatshirts! We have many colors to choose from for a perfect gift. Remember� you found the Rhinestone Irish Princess with Tiara Shirts at TShirtHub.com, where high quality came at a low price.